Posted November 20, 2017 by Arthur Harris & filed under Company News. When you are building a new home, or remodeling your current kitchen, choosing your kitchen cabinets is a crucial step in the overall look and feel of your home. 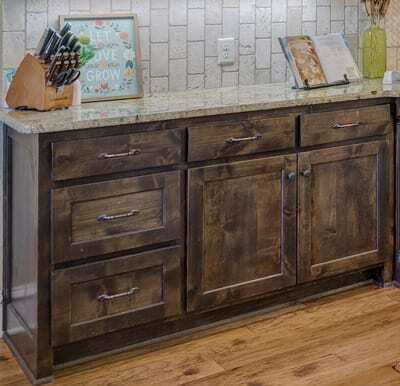 You invest a good amount of time on deciding the color and style of your kitchen cabinets, but sometimes the hardware decision is rushed and made without regard to the look and style quality cabinet hardware can add to your kitchen. Below we will discuss choosing cabinet hardware, and cover a few different styles available today. A bin pull, or cup pull, is a type of cabinet hardware that will be enclosed on the three sides and carved out or hollow underneath to allow space for the grip. If you are looking to add a vintage style or feel to your kitchen, the nickel plated bin pull is a fitting choice. The bin pulls have been in vogue since the early 19th century, used to open cavernous drawers and lift heavy windows. They have been a popular choice in kitchens for so long due to their durable design and the unassuming charm they provide to the look of the kitchen. The look that nickel provides along with the shape of the hardware itself provides a timeless antique feel. Nickel plated bar pulls allow you to add more decorative molding and traditional elements. 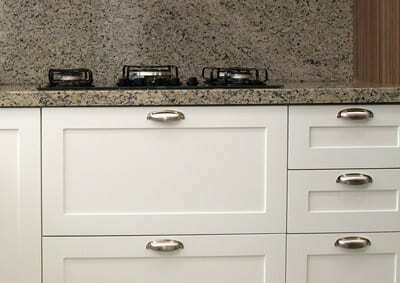 Another advantage of nickel cabinet hardware is the beauty that results from selecting a durable product with a consistent base material, which also allows for easy maintenance. Wire pull hardware is commonly found in utility applications because of its simple and contemporary look, along with it being a more economical option due to its thin make up. More and more, the wire pull is being featured in current kitchens going for that back to basics and rustic look, as it sports an antique finish. The antique finish and the thin decorative design of the wire pull really blends in well with retro looking kitchens. Last but certainly not least, the modern stainless steel bar pull. This hardware in our humble opinion will blend in beautifully with any style kitchen. 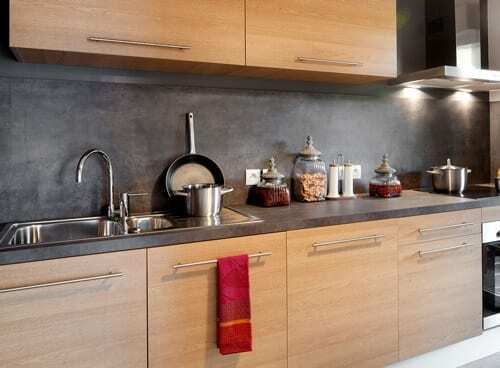 The bar pull offers a modern touch to any style cabinetry, and is often used for a clean contemporary look. The majority of appliances in homes today are stainless steel, so these bar pulls will integrate smoothly with all of your appliances! The stainless steel look and feel is a timeless one, guaranteed to never go out of style. You can confidently design your kitchen with this hardware knowing it will be in style for the life of your kitchen. Arthur Harris offers the most durable stainless steel bar pull on the market, and will produce any size for all of your kitchen hardware needs.